are the same skills they need to become great people." The game of hockey is for kids. Kids play the game because they love it and because it is fun. 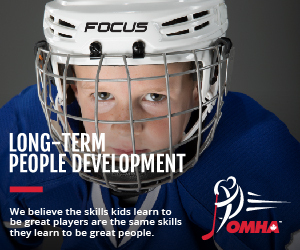 Hockey develops skills on the ice that build a foundation for a lifetime. In addition to athletic prowess, hockey promotes confidence, pride, focus and responsibility. With an emphasis on fun, hockey is a game to be played and enjoyed for life. The program consists of four phases of instruction, designed for any entry-level hockey player, helping introduce the skills of skating, passing, puck control and shooting in a progressive, one-step-at-a-time manner. 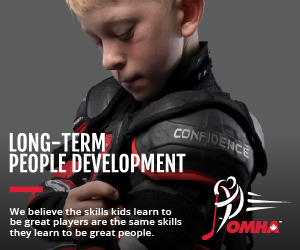 It builds a base of skills for children to learn the fundamental skills of hockey to have fun, learn skills, and develop confidence. The Peewee age group is the most significant period for hockey development. This is the window of accelerated adaptation to motor coordination. Group interaction, team building and social activities are the cornerstone of their ongoing development and mastery of essential skills. 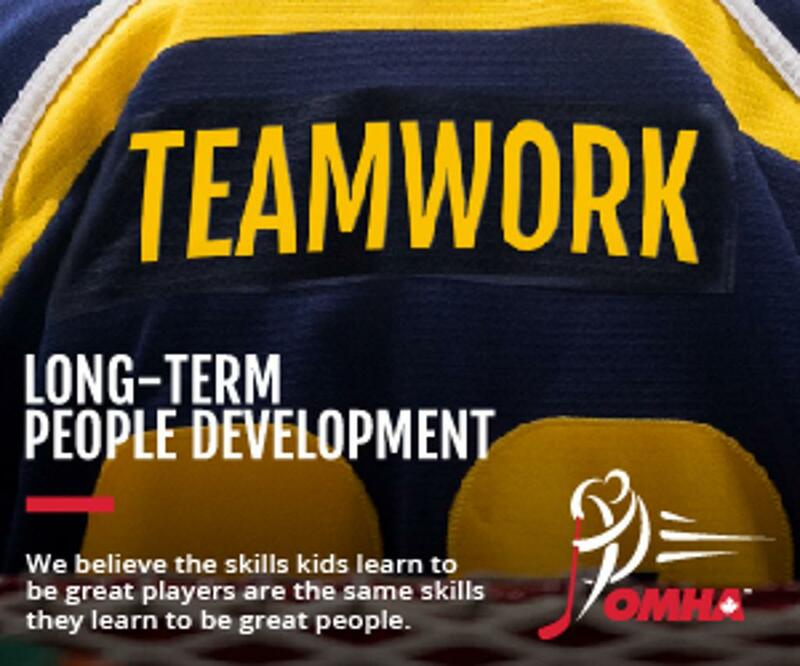 The Novice Skills Program is designed to promote the continued development of physical literacy, fitness, and the basic skills required to play hockey. The skills the player acquires during this stage of development will benefit them when they engage in future recreational activities, enhancing their quality of life and health. At the Bantam age players should begin to consolidate the basic technical skills of the game. An increased focus on hockey should take place along with the introduction and development of advanced group/team tactics. Physical training routines can also be emphasized to compliment the main part of the ice session to also include proper warm-up, hydration, cool down and nutrition. This age has a window of accelerated adaptation to motor coordination. The three goals of this age group include refining basic skills, introduction to team tactics in a fun environment of learning. In Atom, children are developmentally ready to acquire the general sports skills that are the cornerstone of all athletic development. At the Midget age group, players should begin to consolidate the basic technical skills of the game. At this stage, players will be introduced to advanced group and team tactics. Depending on the individual player, other activities could be introduced relating to physical preparation to begin to develop a solid base for training routines. Hockey for Fun! Hockey for Life!